OPPO, the global electronics and technology service provider, launched two of its long-awaited R7 series, namely the OPPO R7 Plus and OPPO R7 Lite. 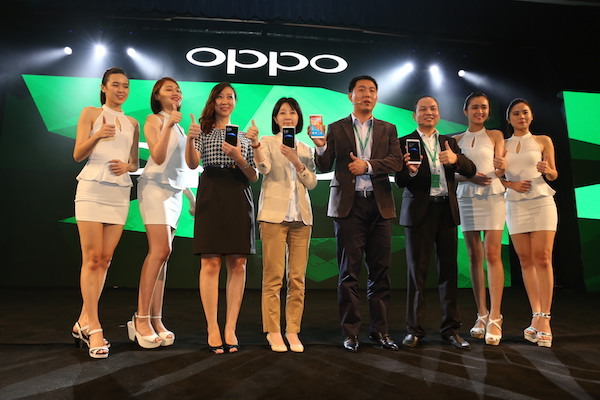 William Fang, Chief- Executive-Officer of OPPO Malaysia and Katrina Li, Overseas Brand Director of OPPO launched the smartphones, which are set to hit Malaysian shores sometime in August 2015. He added that since OPPO’s debut in Malaysia last year, the company managed to secure over 10% of market share, making the brand one-of-the top three smartphone brands in the country. OPPO R7 Lite is also equipped with a 13-megapixel rear camera and an 8- megapixel front camera, integrated with the New Flash Shot technology featuring the new dual-drive hybrid focus system. This includes the anti-shake optimisation, Contrast Detection Autofocus (AF) and the new Phase Detection Auto Focus (PDAF). In conjunction with the launch, OPPO Malaysia has also introduced various hashtag campaigns to engage with the brand’s fans, also known as OFans. Hashtags are namely #OPPOMalaysia and #R7Series.